Anytime a “middle man” is involved, processing speeds will be slowed. This rule applies to IoT and analytics as well. If you’re trying to capitalize on IoT analytics capabilities, but you’re sending the data from your IoT devices to a cloud platform or separate network for processing, then you are wasting valuable time that could be spent on real-time reactions. 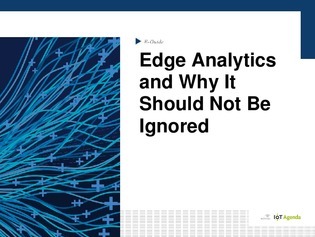 Read this e-guide to learn why you shouldn’t ignore edge analytics.